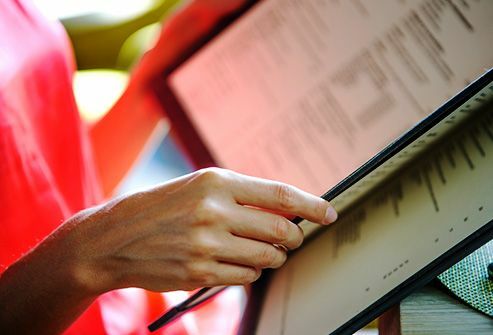 Whether it’s dinner in a restaurant or lunch from the drive-thru, you can enjoy eating out with type 2 diabetes. The key is to choose nutritious dishes. That’s not always easy, because many meals made outside your kitchen are high in calories, fat, and carbs. You can stick with your diabetes meal plan if you ask the right questions and know what to look for on the menu. Eating around the same time every day keeps your blood sugar steady. That’s important if you take insulin or medicine for your diabetes. Try to make a reservation at your usual mealtime. 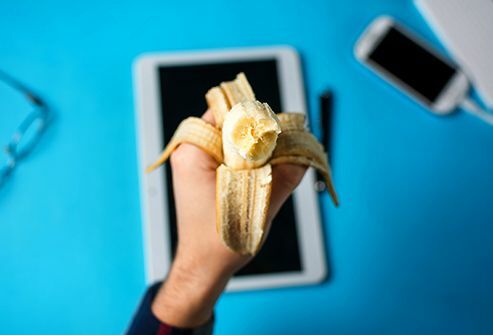 If you know you’ll have a late lunch or dinner, snack on a piece of fruit or bread, then skip that serving during your meal, so you don’t double up. It’s easy to give in to temptation when you’re dining with friends, especially if your decisions feel rushed. 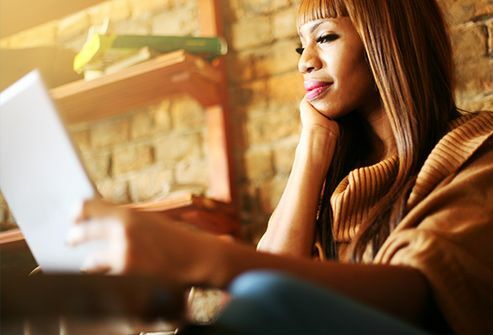 Before you go, look up the restaurant’s menu online, and choose a dish that fits with your diabetes meal plan. You also can call ahead of time to ask questions and make requests. Some chefs will prepare a special meal. Your body needs carbs for energy, but too many at once can raise your blood sugar. To keep your levels steady, experts recommend 45 to 60 grams per meal. Many restaurant meals pack in much more. In fact, one baked potato or medium serving of fries delivers 60 grams. 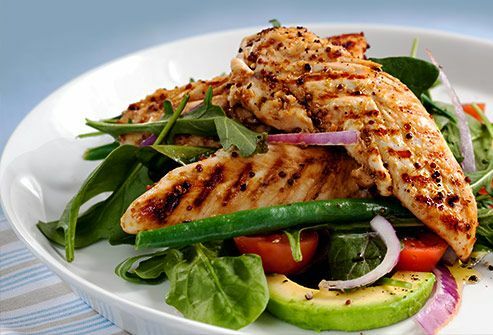 Keep an eye on your portions, and consider meals that are lower in carbs, like a spinach salad with grilled chicken. Grilled, steamed, poached, braised, and broiled: These cooking methods usually don’t add a lot of fat or calories. Skip the ones labeled creamy, breaded, crusted, crispy, and fried. Ask your server how a dish is prepared if it’s not clear on the menu. Many restaurants give you enough for two meals in one serving. 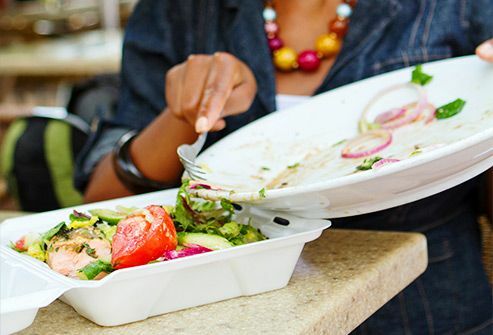 If you know this is the case, ask your server if a half-serving is an option, or ask for a take-home container and set aside half for a later meal as soon as your food arrives. You also can split an entree with someone, or pair a healthy appetizer with a salad or broth-based soup for your meal. 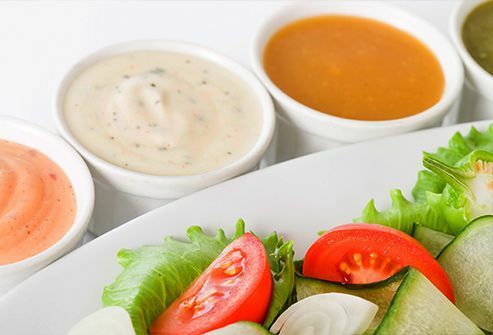 Some restaurant dishes come doused in dressing or sauce. That usually means you’re getting more calories, sodium, and fat than you need -- or expected. To scale back, ask for it on the side, then dip your fork in the sauce before taking each bite of food. You also can drizzle it on your salad or entree one teaspoon at a time. Better yet, flavor your dish simply with lemon juice and a little olive oil. A few swaps can make your meal healthier. Instead of french fries or hash browns, get a double order of a vegetable, such as a side salad, broccoli, or tomato slices. Having tacos or a burrito? Salsa or pico de gallo works well in place of cheese and sour cream. Don’t be shy about asking for what you want. 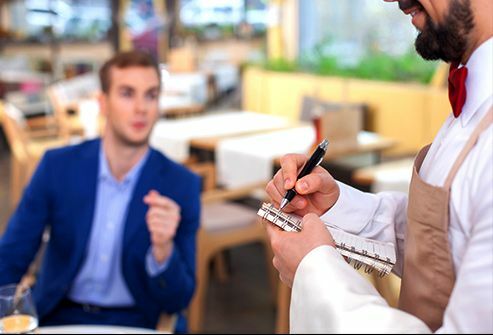 Restaurant staffs should be eager to make their customers happy. This is a good place to fill up on nutritious vegetables. 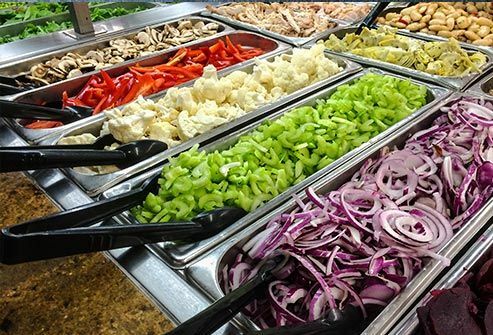 Pile your plate with low-carb picks, like leafy greens, broccoli, and bell peppers. Then add lean protein, such as grilled chicken or chickpeas. Cheese, croutons, dried fruit, and bacon bits are high in calories, so only sprinkle on a small amount. Skip the creamy pasta and potato salads, and go easy on the dressing. Sweetened beverages tack calories and carbs onto your meal. If you’re not a fan of unsweetened tea or coffee, have a glass of sparkling water with a squeeze of lemon or lime. Want a glass of wine, beer, or a cocktail? With your doctor’s OK, alcohol is fine on occasion. A light beer or wine spritzer doesn’t pack too many calories. 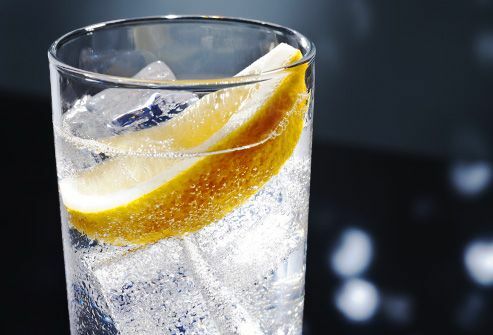 If you want a cocktail, opt for a calorie-free mixer like club soda instead of soda or tonic water. You can indulge in the occasional sweet treat while sticking with your diabetes meal plan. If you want something sweet, cut back on carbs during your meal. Pass on the bread basket, and hold the side of potatoes. To keep from overdoing it, share the dessert with someone. A few bites are usually all you need to feel satisfied. Even if you play it right with your drink and dessert, your meal can still serve up a sugar shock. That’s because many dishes are prepared with added sweeteners. 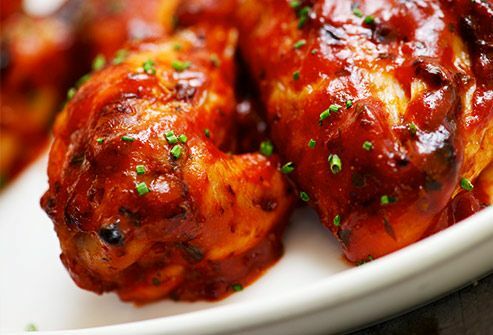 For example, a quarter-cup of barbecue sauce can pack in 7 teaspoons of sugar. It’s best to steer clear of dishes described as BBQ, glazed, sticky, honey, and teriyaki. Keep it simple. Specialty breads such as biscuits, croissants, and hoagies are usually higher in fat and calories than a bun or English muffin. Whatever you choose, it’s a good idea to take off the top and go with an open-face version. For the filling, opt for a lean protein, such as grilled chicken, deli turkey, or low-fat roast beef. Cheese packs in 100 calories per ounce, so skip it or stick with one slice. Then top it off with mustard or oil and vinegar along with fresh vegetables, lettuce, and tomato. With their large spread of dishes, all-you-can-eat buffets can be trouble. If possible, order off the menu instead. If you can’t avoid the buffet, choose only a few dishes instead of small scoops of several different things. 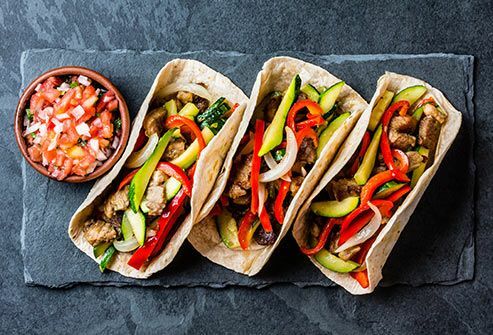 A good rule of thumb: Fill half your plate with non-starchy vegetables, then split the rest between a lean protein and starch, such as a whole grain. 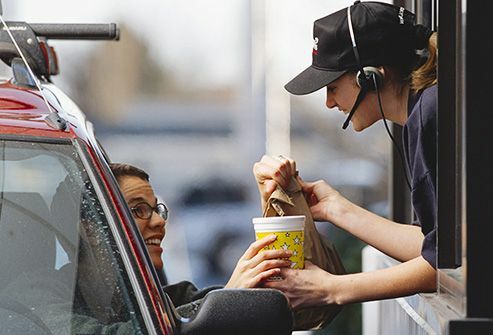 The average fast-food meal can deliver 1,000 calories or more. But you can find diabetes-friendly options at the drive-thru. 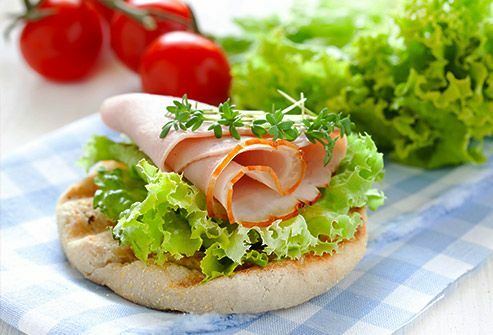 First, check the menu’s nutritional information: Grilled chicken sandwiches are often low-fat options. Pair it with a side salad or apple slices instead of fries. And to keep your portions in check, order the junior size instead of a deluxe or supersize meal.